SIZE: 3'x3'x7' FT. 4'x4'x7' FT.
: 5'x5'x7 'FT. 6'x6'x7' FT.
: 8'x8'x7' FT. Customized sizes also available. Arch Tent also called as Arch Roof Tent. This tent are making substitute for Aluminium Frame Tent and replacing them for major big events and function with their heart shape look and strong quality. 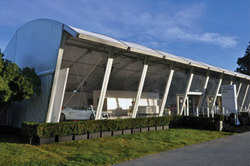 People uses this tent for large exhibition, weddings, corporate party's, and many more. We manufacture this tent and also customize it on the request of the clients. We are providing Tents which are available in different sizes, shapes and designs. These tents are made of premium quality fabrics which offer them maximum durability. Also, these are provided with logos and prints for promotional purposes and can be customized as per the requirements of the clients. We are looking for queries mainly from Chennai. 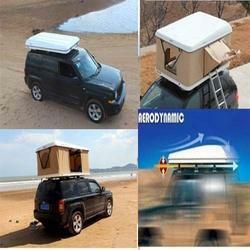 Our company is major company known for providing Flat Roof Tent to the clients. Offered range is manufactured using high grade raw material and with the aid of advance technology by our skilled professionals. Flat Roof Tent is stringently tested on various quality parameters to eradicate all kinds of defects before delivering at the clients' end.